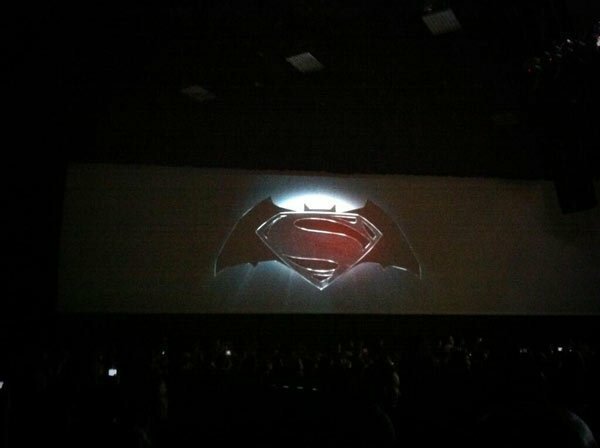 UPDATE Zack Snyder took the stage in Hall H to confirm that they will make another Superman movie, then brought out Man of Steel actor Harry Lennix to officially announce the Batman-Superman team-up. More details to come! Check Eric's Hall H liveblog for more! We're just hours away from the start of the Warner Bros. Comic-Con panel, but it's never too late for a crazy rumor about what's in store! The LA Times has it from "two sources with knowledge of the movie" that Warner Bros. will be announcing a Superman and Batman team-up film, with plans for release in 2015. The studio naturally, refused to comment. According to the rumor, Zack Snyder would direct the team-up film, with Man of Steel screenwriter David S. Goyer and star Henry Cavill both returning; it is "unlikely" that Christian Bale would play Bruce Wayne, but that's based more on Bale's own statements than anything official. We've been focused primarily on the potential of a Justice League movie in the wake of Man of Steel's success, but a Batman-Superman team-up could be an equally valid way of expanding the universe, especially since it would give Warner Bros. a chance to reboot Batman with a different actor and really pay attention to him, rather than shoehorning him with the massive world-building that would need to happen in a Justice League film. The logistics of casting just one new Batman in time for a 2015 release date would also be a little less daunting than assembling the entire team. Beyond Henry Cavill talking vaguely about his hopes that DC Films would take their time establishing other characters before assembling the full Justice League, there's been zero talk about it since Man of Steel opened in early June-- a pretty sure sign that the studio was planning a major announcement at Comic-Con. We've gone into Comic-Con hoping for big stuff from WB in the past regarding the DC Universe, but last year gave us Man of Steel and nothing else. Are they finally making up for it next year? Many Comic-Con surprises stay that way until they're announced onstage, but there's a pretty strong track record of leaks as well-- days before the entire cast of The Avengers stepped onstage during the Marvel panel in 2010, word got out that Mark Ruffalo would be stepping in to play Bruce Banner/The Hulk. It's weird to remember now, but at the time there was a bit of a scandal about them not bringing back The Incredible Hulk star Edward Norton, but by the time Ruffalo joined the rest of the cast onstage, nobody seemed to care about it at all. It seems a little too soon for WB to announce both a Batman-Superman team-up and a new Batman, but anyone who's concerned about the future of Batman at all might get swept up in the excitement of a Comic-Con announcements. These big reveals, when done right, can be priceless PR, especially when you're attempting something as big and risky as a DC Cinematic Universe. We'll have all the official details for you as they come during the Warner Bros. panel-- it's entirely possible none of this will be confirmed at all, but we're still hoping for surprises-- so stay tuned!